What does SEASIN stand for? Southeast Asian Social Innovation Network. 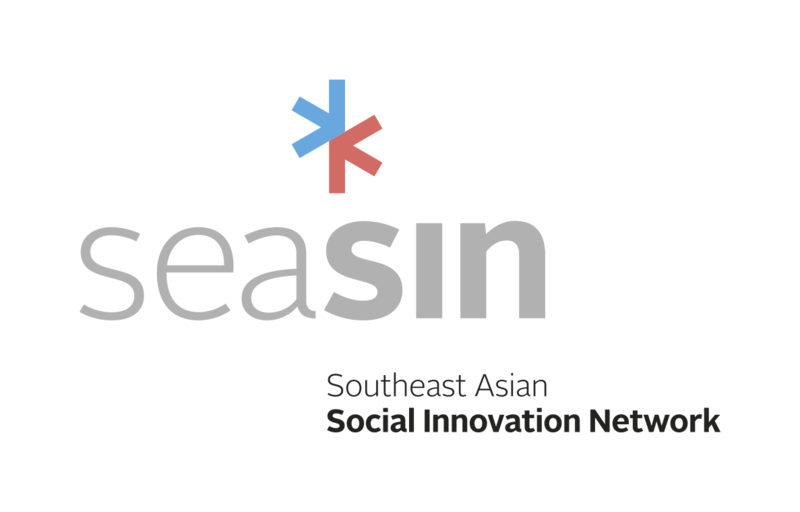 The SEASIN project directly responds to the societal challenges of South East Asian society by harnessing the knowledge of Universities to directly contribute, not only to increasing socioeconomic growth but also to improve social cohesion and equity, through social innovation. Why is this an innovative project? The SEASIN project is innovative in that it proposes a clear methodology and series of activities to embed social innovation within the University structure at a formalized, institutional level. As a result Universities will be able to offer real added value to their communities by offering: exploitation of their tacit and codified knowledge through capacity building, mentoring, training as well as access to tacit and codified knowledge; specialised equipment; spaces for networking, hot-desking or more formal incubation facilities; selection and evaluation expertise; lobbying etc. The project will also develop a platform whereby the university will become the intermediary between the subversive nature of SI and its need for institutional and political recognition. Who are the Associate Partners supporting the project? This project introduces new paradigms to the concept of knowledge transfer, taking into account the challenges of social cohesion in the Partner Countries, specifically through international collaboration, incubation, university-societal engagement, informal and formal education programmes, widening access by engaging directly with community groups and internationalising the process through the SEASIN network. The consortium is composed of a very interesting group of universities: GCU – Glasgow Caledonian University (United Kingdom), Universidad de Alicante (Spain), Universidade de Aveiro (Portugal), Universiti Teknologi Mara, Sunway University – Mission & Co (Malasya), Kasetsart University, Thammasat University, Ashoka Innovator for The Public (Thailand), Royal University of Phnom Penh, National University of Management, Mith Samlanh (Cambodia), Cooperative University Thanlyin, Yangon University of Economics (Myanmar) and the the prestigious agency SIX – Social Innovation Exchange. What are the main characteristics of the project? The SEASIN project directly responds to the societal challenges of South East Asian society by harnessing the knowledge of Universities to directly contribute, not only to increasing socioeconomic growth but also to improve social cohesion and equity, through social innovation. This need was echoed at the ASEAN Forum on Social Entrepreneurship (Singapore, October 30 2014) where over 80 policy makers and representatives of non-profit organisations from ASEAN Member States discussed the role of social entrepreneurship and shared good practices and views on developing social innovation. Will the project’s activities be monitored? The quality control, monitoring and evaluation of the project will be led by UA and YUE which coordinates a vast range of international projects through European programmes. The involvement of all partners on the committee will ensure that there is input and technical expertise on the quality and relevance to social innovation practice. UA will chair the Advisory and Evaluation Committee consisting of Associate Partners and top management representatives from each of the participating universities. accurately measure both the social and the economic impact of the initiatives that they engage in. Above all, the project’s outcomes will ultimately benefit the communities themselves. In what ways will the project be sustainable? In the final year of the project and taking note of the reports produced by the Advisory and Evaluation Committee, a Sustainability Plan will be produced, proposing how the various activities developed as part of the project may be continued in a sustainable manner. Where appropriate alternative income streams will be identified, including public-private funding, internal and external investment and in-kind resources. Specifically the plan will address the pemranent establishment and expansion of the SISUs both within partner orgnaisations and beyond, the continuation of the South East Asia Social Innovation Awards Programme, the development and implementation of the Doctoral Programme as a joint or double degree, and the sustainability of the South East Asian Social Innovation Network as a whole. How were the members of the Consortium selected? The contribution that they can make to the project. The core consortium may expand in the future. How can you benefit from the SEASIN project? Institutions, teachers, students and social innovators from the countries represented in the Consortium can benefit from the project through the Studios and nationally coordinated activities. In addition teachers and students from anywhere in the world can obtain valuable information for developing their social innovation activities thanks to the publications and articles disseminated by the project via the website. If you are interested you can also contact us and present your project through the website. All projects will be considered by our editing team. The SEASIN Project was selected for funding by the Education and Cultural Executive Agency of the European Commission under the Erasmus+ Programme. The Programme supports the modernisation of education, training, youth and sport and has a total budget of 14.7 billion euros to support a variety of projects and programmes. Projects are selected through and annual open call for proposals and evaluated according to a variety of different criteria: relevance to the priorities of European cooperation in the region; quality of the activities and actions proposed in the project; quality of the consortium and participating institutions and the impact and sustainability of the project. SEASIN was selected as one of 515 projects presented in the area of Capacity Building as part of the Erasmus+ Programme 2013-2020. The project will last 36 months, beginning on 15th October 2016.